I cannot wait to see Insurgent! The film’s star, Shailene Woodley, couldn’t be missed at its Berlin Premiere in a long-sleeve two tone Tenesha gown from Emilia Wickstead’s Spring 2015 collection. I wasn’t too keen on her hairstyle here, but there’s no denying that she looks beautiful in this dress. I also loved co-star Theo James’s Dolce & Gabbana suit. 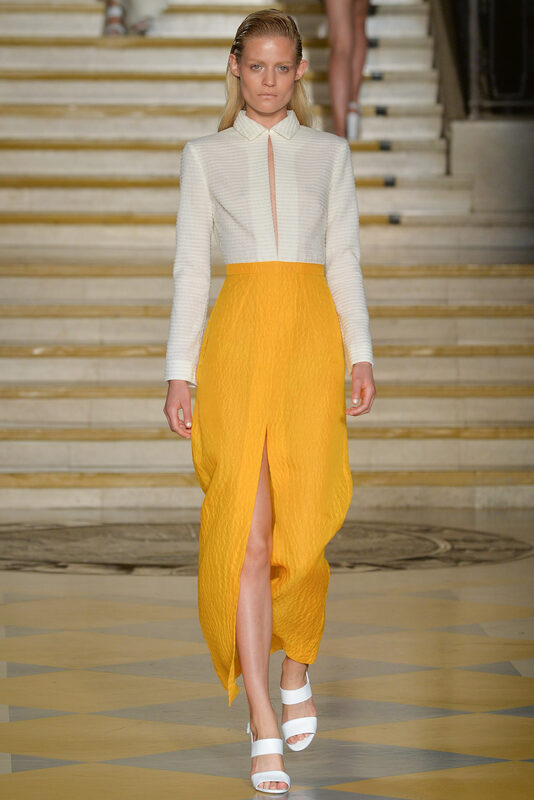 Visit www.emiliawickstead.com for more information and see Shailene’s look on the runway below.